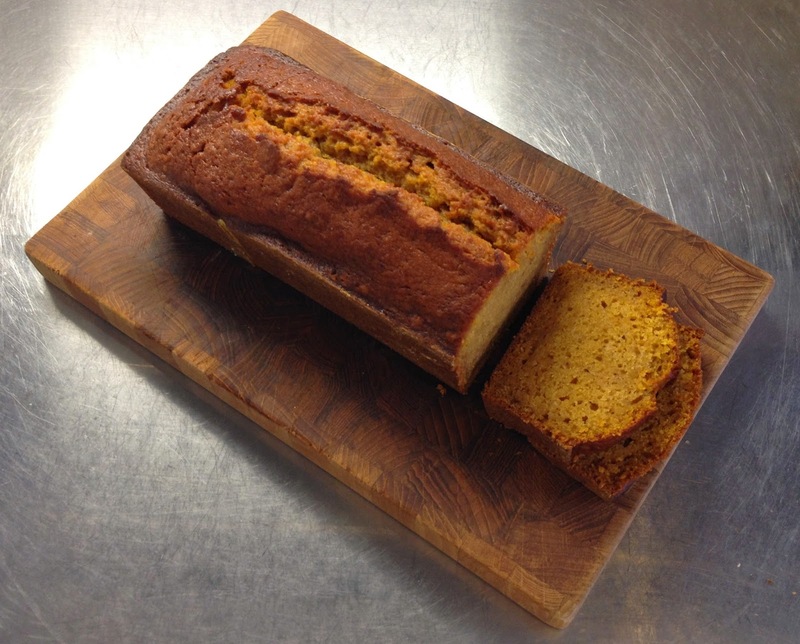 After looking for it for a month now, I finally found the pumpkin (courge musquée) I would bake and use this Fall. 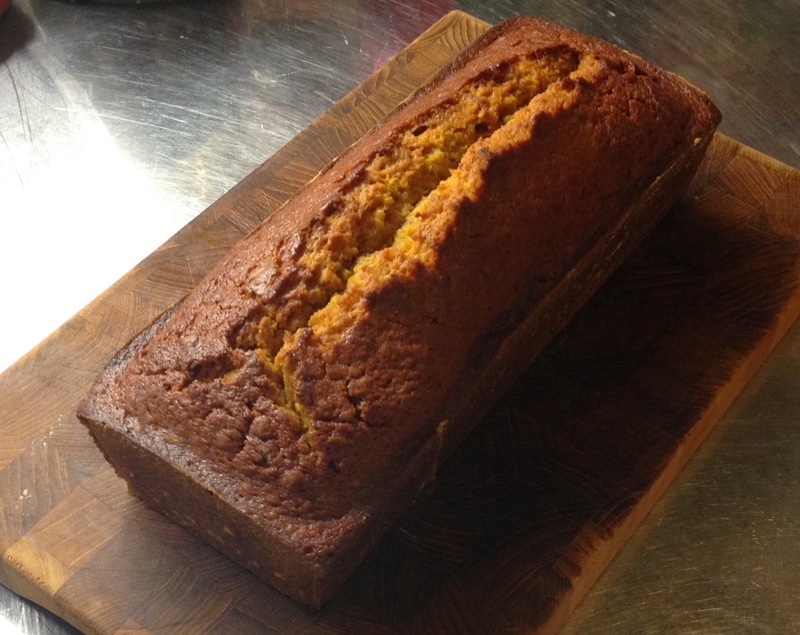 I baked it in the oven and made fresh pumpkin purée with it to use as base for my pastries and soup. 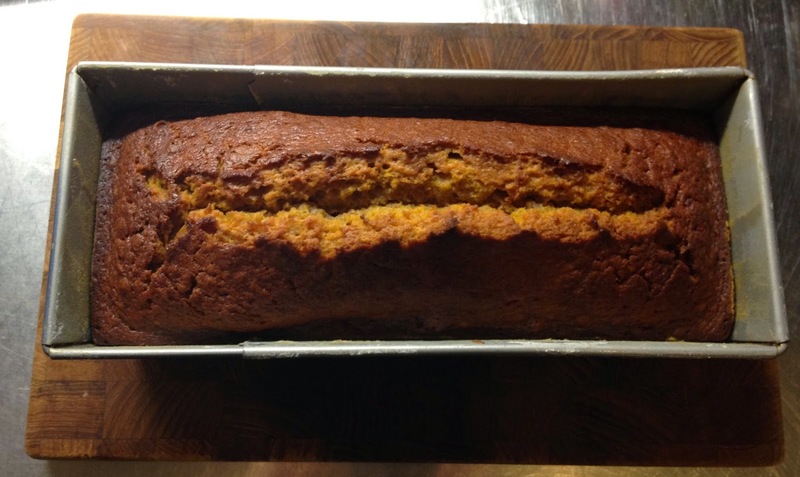 I made a classic Pumpkin Bread (could easily be classified as cake) that was moist and spiced with ginger and cinnamon, spices I love in Fall/Winter cakes. 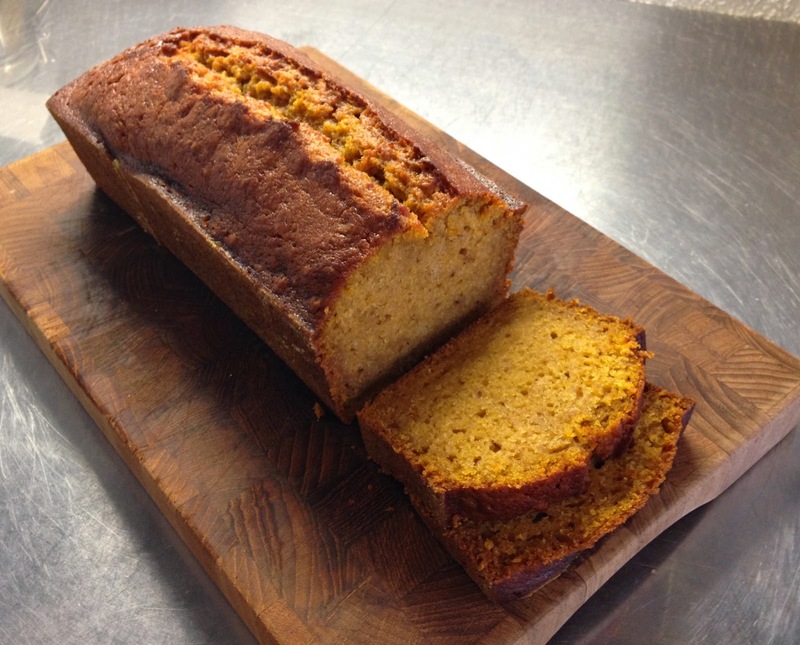 Once you have the pumpkin purée at hand, it takes less than 10 min to prepare the cake (sorry bread) so don't be afraid of trying this recipe even if you think you're not good at baking, you can't fail it. If you like pumpkin based desserts, I suggest you check out my Pumpkin cake with cream cheese frosting and Pumpkin pie for Thanksgiving, they are both delicious. Enjoy! Mix dry ingredients in a bowl. Mix wet ingredients (butter, eggs, pumpkin purée, molasses and water) in another bowl. Add dry ingredients to wet ingredients and mix until barely incorporated. Transfer to a greased and floured cake pan. Bake at 180C for about 60 min (start checking at 50min, a toothpick should come out clean). conversion to Cups from deciliters is slightly off. how should i go about adjusting the ratios? all my recipes are based on 1 cup = 2.4 dl, hope that helps!